These up-and-coming chefs, in charge of a kitchen for no more than five years, are the future of food. Here, their simplest recipes. Back row, from left: Chris Shepherd (Houston); Jose Enrique (San Juan, Puerto Rico); Justin Cogley (Carmel, CA); Matthew Gaudet (Cambridge, MA); Michael Hudman (Memphis); Alex Stupak (New York City). Middle row, from left: Jason Vincent (Chicago); Danny Bowien (New York City); Jamie Malone (Minneapolis). 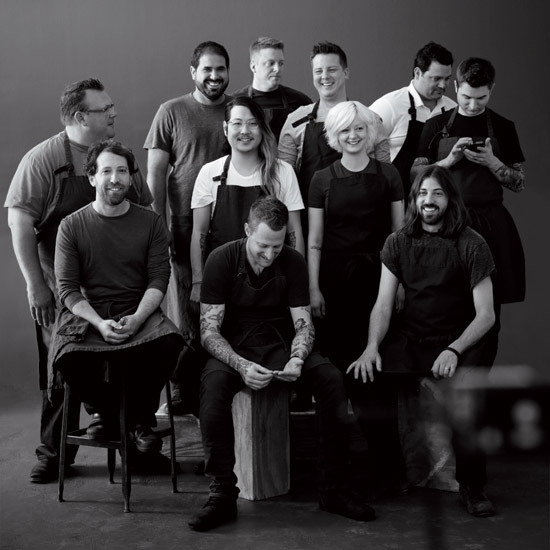 Front row, from left: Michael Voltaggio (Los Angeles); Andy Ticer (Memphis). 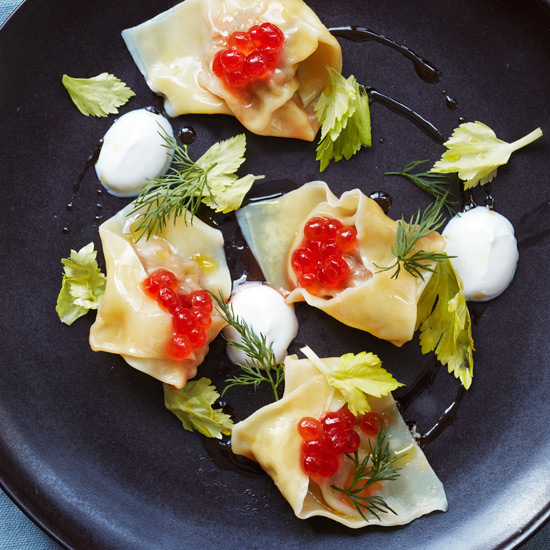 Danny Bowien’s addictive wontons are decidedly Asian, but the yogurt, salmon roe and dill garnishes give them a fun Scandinavian twist. 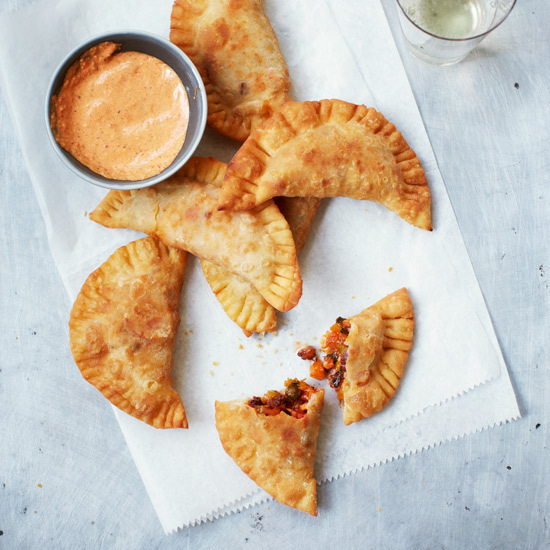 They are perfect to make ahead of time and keep in the freezer. 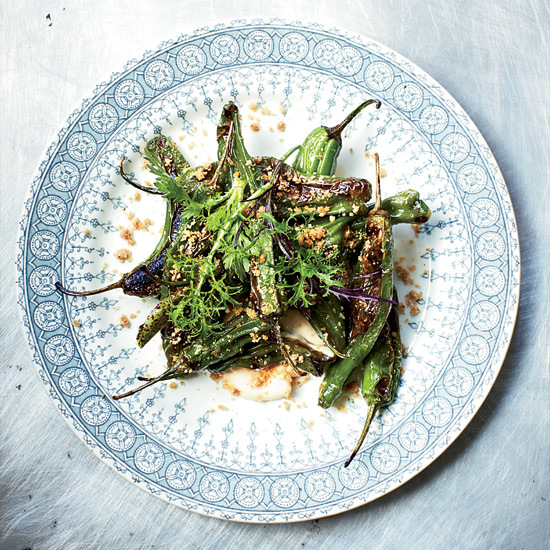 Michael Voltaggio’s clever recipe features bonito sand, a simple combination of almond flour, bonito flakes, sugar and butter. 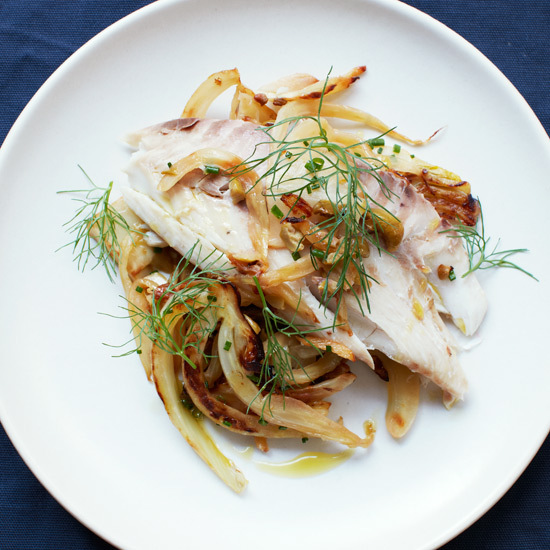 It’s crunchy and sweet and lends the dish an overall umami flavor. Octopus gets amazingly tender when cooked for a long time and it’s quite delicious in Jose Enrique’s addictive pastries. 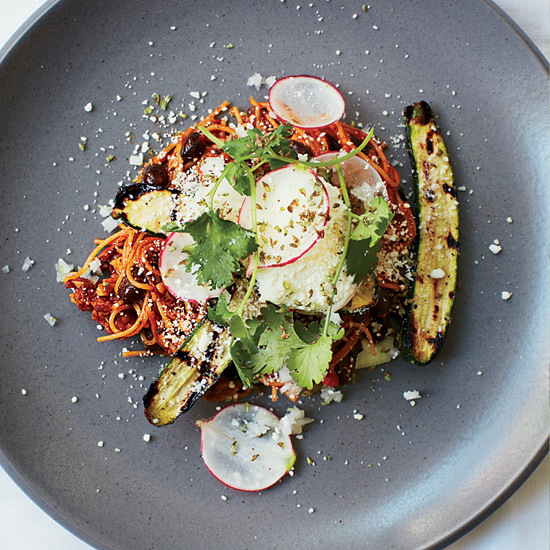 Alex Stupak’s toasted, tomato-braised noodles are spicy, smoky and deliciously creamy. They’re also a snap to make. 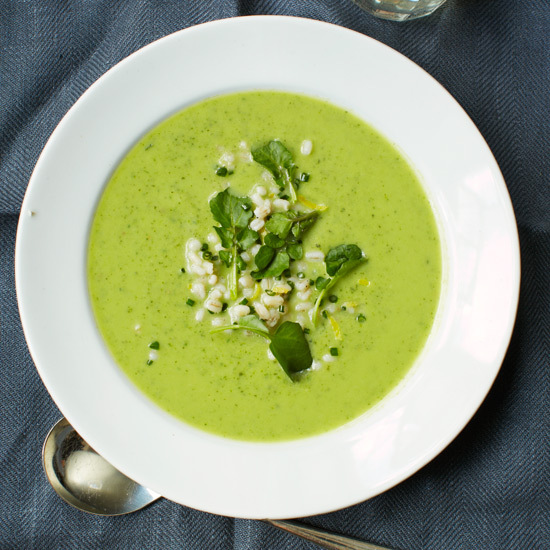 Adding barley to Justin Cogley’s lovely, delicate, spring-like soup makes it hearty but not heavy. 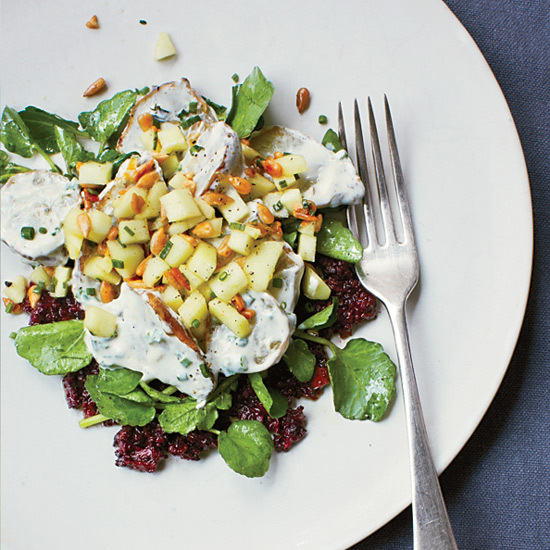 Sweet roasted sunchokes are the focus in Matthew Gaudet’s salad, where they’re paired with an unusual relish and tapenade. 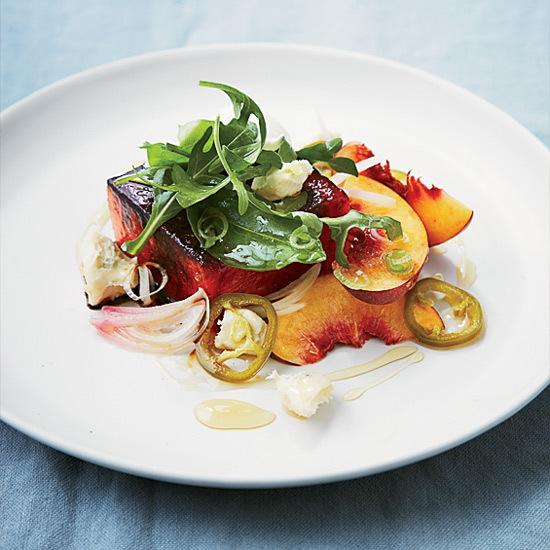 The sugar-crusted watermelon in Jason Vincent’s dynamic dish resembles a seared rare tuna steak. 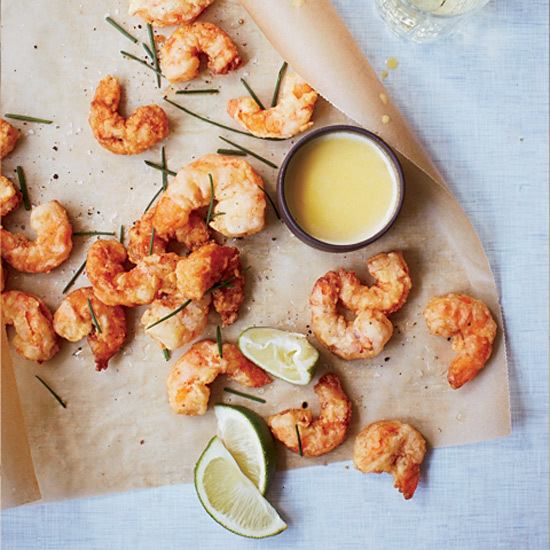 To make his popcorn shrimp taste like movie theater popcorn, chef Chris Shepherd makes a sauce with fresh corn, a touch of cream and Butter Buds, which are store-bought, butter-flavored granules. Baking a whole fish in a salt crust makes it insanely moist, delicate and well-seasoned, plus Jamie Malone’s presentation is extremely dramatic. 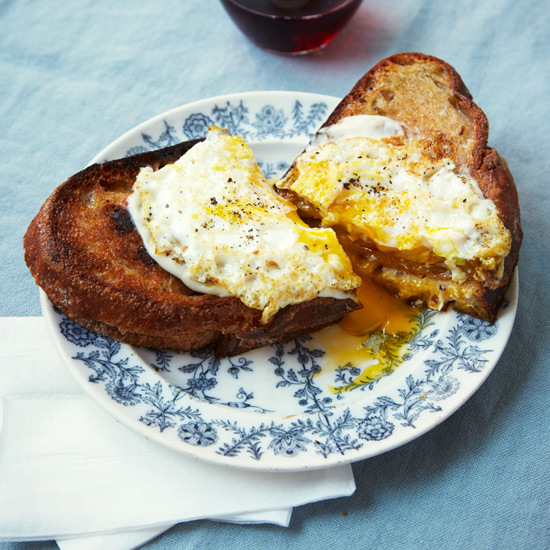 Andy Ticer and Michael Hudman share a wow sandwich that just keeps on going, with the crispy, cheesy grilled ham-and-pimento-cheese sandwich topped with a creamy three-cheese sauce and a fried egg.